From the moment I told Mr. Loebker that I was interested in purchasing a home, he worked tirelessly to ensure that I found the perfect home for my fiance and I. He remained patient as I rejected home after home for a variety of reasons, and continued to work diligently until he found the perfect home for us. Brian is hard working, professional, intelligent, and very personable and friendly. There is no question that he is my Realtor as long as he is in the business. I HIGHLY recommend him for your real estate needs. Brian Loebker did a great job in selling our home on Bird Key. It was a long process but he stick with it all the way and was very helpful in the critical final stages. And after that, he did an amazing job in finding us a new home on Lido in very quick order. We admire his professionalism, his hard work and helpful attitude. We have bought and sold many homes in more than one country. You have a top notch associate there. - Geoff and Eva B. We would like to thank Brian for his strong work ethic and professionalism with the listing of our home. He was extremely knowledgeable of our quickly improving market and did extensive research to ensure that our home was priced best for us. We were also very pleased with Brian's assistance in the search for our new home. Brian was very accessible and provided invaluable advice throughout the home search process. I would and have highly recommended Brian to our family, friends and clients of my own. - Lyle & Jessica K.
My husband and I would like to thank Brian Loebker for his strong work ethic and professionalism with the listing of our home. Brian was extremely knowledgeable of our quickly improving market and did extensive research to ensure that our home was priced best for us. We were also very pleased with Brian's assistance in the search for our new home. Brian was very accessible and provided invaluable advice throughout the home search process. I would and have highly recommended Brian to our family, friends, and clients of my own. Brian Loebker was very professional and knowledgeable. He sold our house faster than expected and was there for us every step of the way. He is a huge asset to the Michael Saunders team. - Tara L. & Jason S.
This was a very difficult sale, however I felt as if all the stress was taken away from me. Mr. Loebker was able to keep me thinking positive when there were snags. Mr. Loebker represented himself and Michael Saunders with the utmost professionalism. He approached the board members in a very strategic way and I am so thankful that Mr. Loebker was able to be the buffer I needed to sell this property. I know Mr. Loebker put in many hours, late nights and consultations to sell my property. When our mother died recently in Sarasota, by sister and I wanted to sell the condo that she had formerly used as her home. We were fortunate to be referred to Brian, who served as our broker. Brian helped us prepare the condo unit for sale, set the price and locate an all cash buyer, all in record time. We closed on an all-cash sale of the condo at a fair price within three months after my mother's death. We were quite pleased with the result and felt that Brian provided us excellent advice and counsel throughout the process. Thanks, Brian! This was a very difficult sale. We actually needed to sell this condo more than once to get the condo association to accept the buyer. This was more than frustrating for me, however I felt as if all the stress was taken away from me. Mr. Loebker was able to keep me thinking positive when there was a snag, which there were many. Mr. Loebker represented himself and Michael Saunders Company with the utmost professionalism. He approached the board members in a very strategic way. I had a terrible repoire with the board members and I am so thankful that Mr. Loebker was able to be the buffer I needed to sell this property. I know Mr. Loebker put in many hours, late nights, and consultations to sell my property. We will definitely be in touch. It has been my privilege to work with Brian, a true professional in every sense of the word. Excellent guidance, creativity, and attention to detail were just a few of his qualities that helped to sell my property in record time. His availability on short notice and determination to get the best offer were also greatly appreciated. Michael Saunders is very fortunate to have Brian represent their company. Brian Loebkler was very professional and knowledgable. He sold our house faster than expected and was there for us every step of the way. A huge asset to the Michael Saunders Team. Brian Loebker of Michael Saunders & Co.-Siesta Key was a pleasure to work with and a true professional. Upon the sudden death of my mother, my siblings and I had to sell her home in a timely manner. Brian was very empathetic to our situation and listened to our needs. He was very helpful in recommending vendors to complete specific tasks before we listed the home. Needless to say the house sold very quickly and made the process easier for my family to deal with during a difficult time. I highly recommend Brian and the team at Michael Saunders & Co.
Brian Loebker represented us as buyers of our condo in Siesta Key. 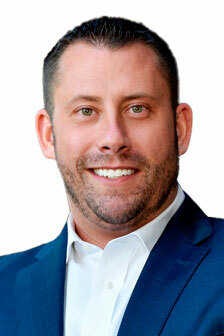 We highly recommend Brian for those who want a truly trustworthy, credible and honest real estate agent. Many realtors can say the are, but Brian lives it and proves it. Brian is always prepared with the right data and the right facts. Never any high-pressure tactics...instead Brian brings a common sense, objective perspective and will provide thorough transparency from the onset. Brian did a great job. It was a tough road, but he stayed on course. Brian Loebker represented us as buyers of our condo in Siesta Key. We highly recommend Brian for those who want a truly trustworthy, credible and honest real estate agent. Many realtors can say they are, but Brian lives it and proves it. Brian is always prepared with the right data and the right facts. Never any high-pressure tactics, instead he brings a common sense, objective perspective and will provide thorough transparency from the onset. - Brad & Karen L.
From the moment I told Mr. Loebker that I was interested in purchasing a home, he worked tirelessly to ensure that we found the perfect home. He remained patient as I rejected home after home for a variety of reasons and continued to work diligently until he found the perfect home for us. Brian is hard working, professional, intelligent, very personable and friendly. There is no question that he is my Realtor as long as he is in the business. I highly recommend him for your real estate needs. It has been my privilege to work with Brian Loebker, a true professional in every sense of the word. Excellent guidance, creativity, and attention to detail were just a few of his qualities that helped to sell my property in record time. His availability on short notice and determination to get the best offer were also greatly appreciated. Michael Saunders is very fortunate to have Brian represent their company. My husband and I cannot say enough about Brian Loebker! He paid careful attention to what we were looking for and addressed all our needs within the timeline we put forth. He is professional,thorough and his kind nature and good humor made our interactions productive...and fun! We are happy in our new property and hope to work with Brian again in the future. We would heartily recommend him to our friends and family.